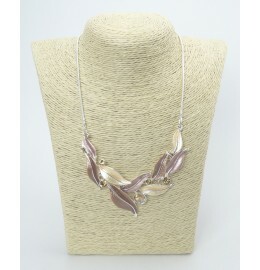 Metal necklace with rhodium plating. 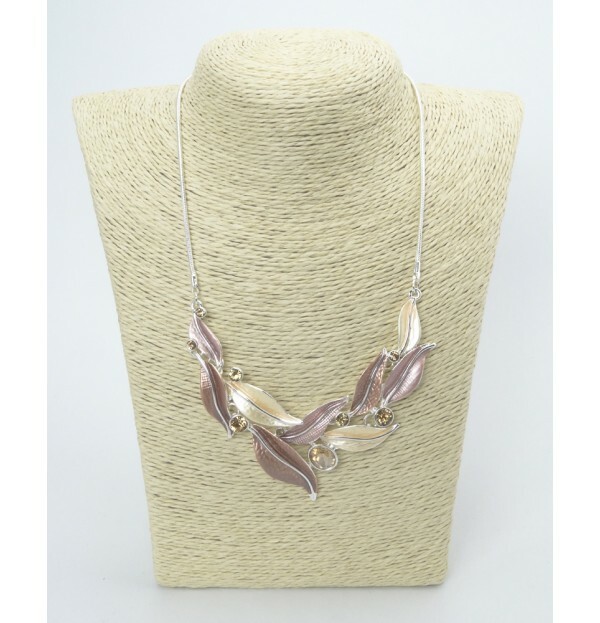 Leaf design in light brown and beige enamel. Facet cut light topaz glass stones.